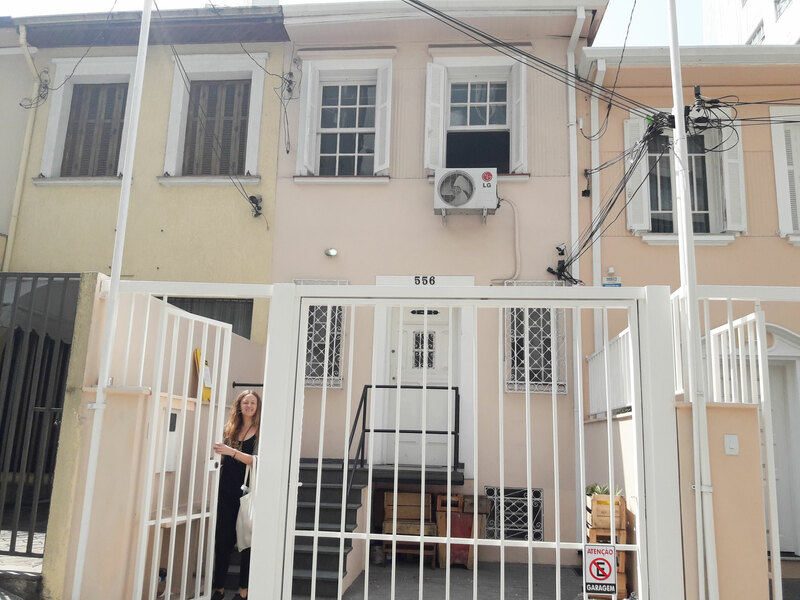 Sofie is from a small town in Sweden called Arvika but has recently moved to São Paulo to live and work, since she has fallen in love with the country after studying here. Sofie is a baking enthusiast since she was little and decided to learn to cook when she became a vegetarian. 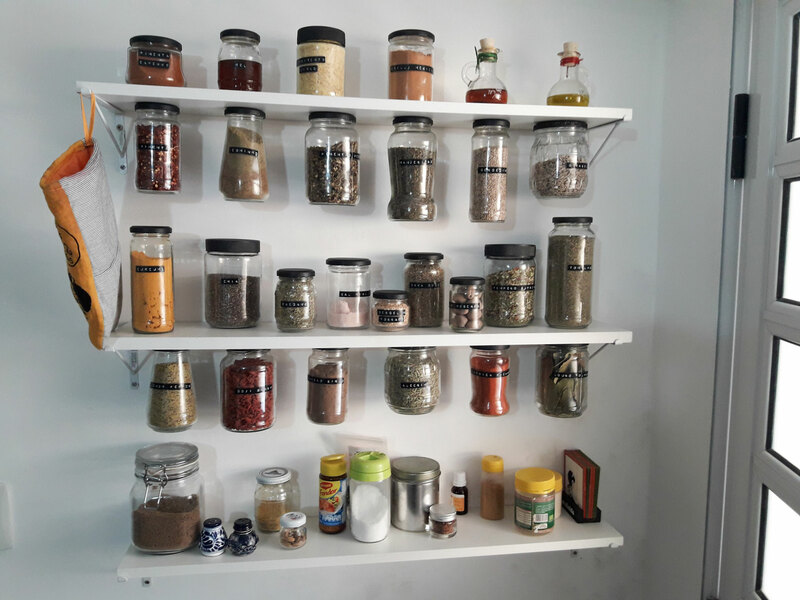 She has lived in seven different countries and tries to incorporate elements and ingredients from each into her cooking. She calls herself a global citizen and has spent many years traveling and exploring the world, discovering new cultures and meeting people. 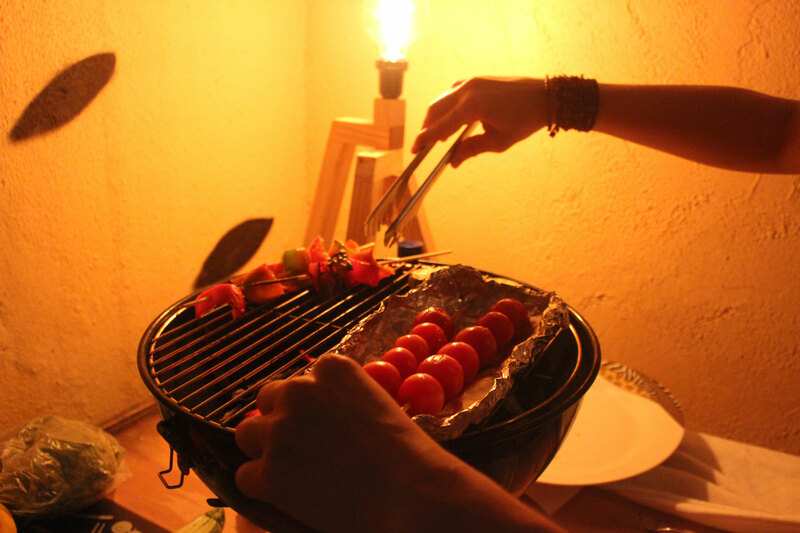 Food is a big part of this passion to travel - new dishes, tropical fruits and mesmerizing flavors! She is currently working on a start-up related to the production of bio gas from food waste, a project that is very close to her heart. She has had the privilege of seeing how locals prepare their daily meals and even tried some their delicious foods. This is what is reflected in her cooking, mainly plant-based meals from all the corners of the world. Her meals are healthy, with many spices, innovative and delicious! 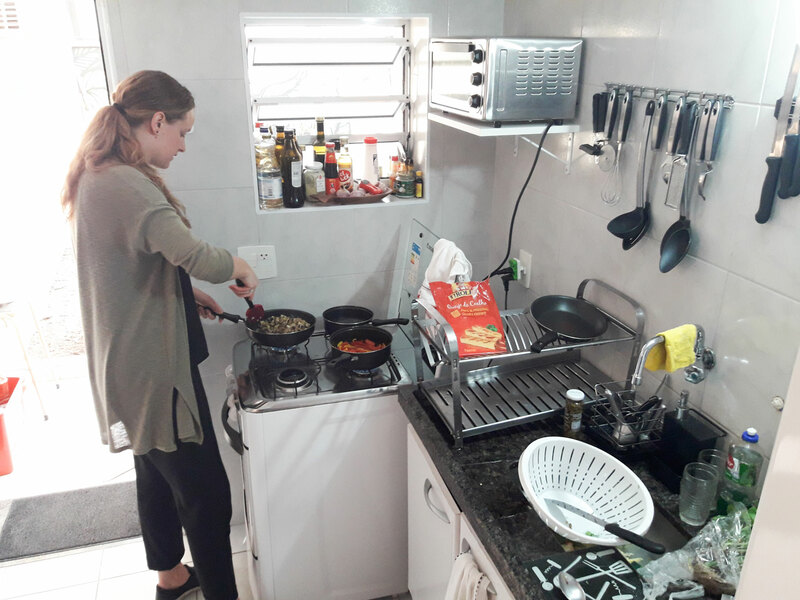 In-home meal: (1-6 guests) Sofie lives in a simple, three-story house which she shares with three flat mates in central Sao Paulo. 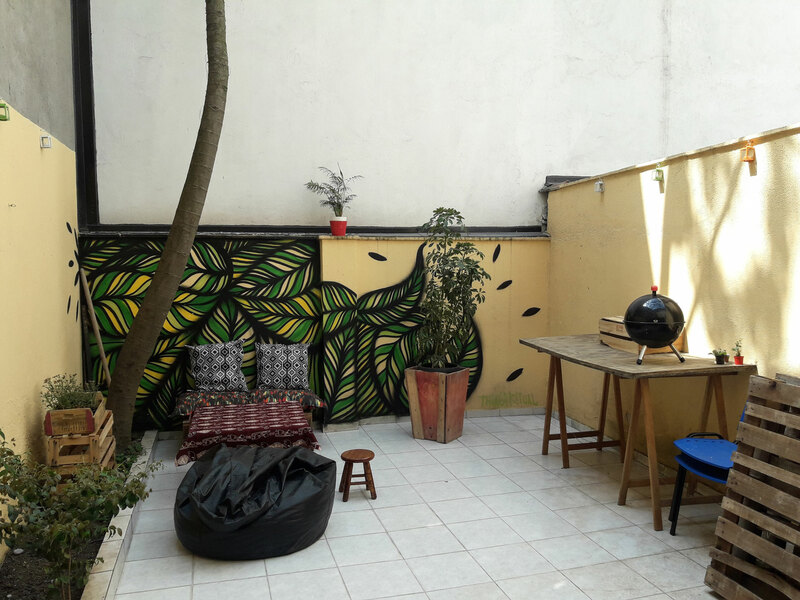 A minute walk from Trianon-MASP metro station and the Avenida Paulista, São Paulo’s main avenue! She has a beautiful outside patio decorated with lights on the lower floor, it is very attractive, cozy and Sofie will host you here for your meal. 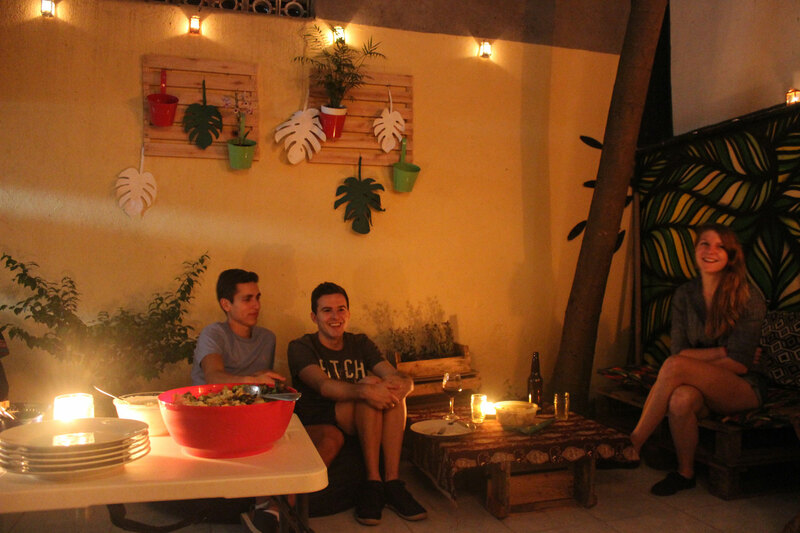 You can expect to eat dishes such as caponata (eggplant appetizer), couscous and arugula salad, Brazilian-style tapioca tacos, avocado chocolate mousse and fresh fruits. Cooking experience: (1-3 guests) Sofie has a very small kitchen with low ceiling, so most of the prep work will be done outside and you will use the kitchen for the final cooking only. 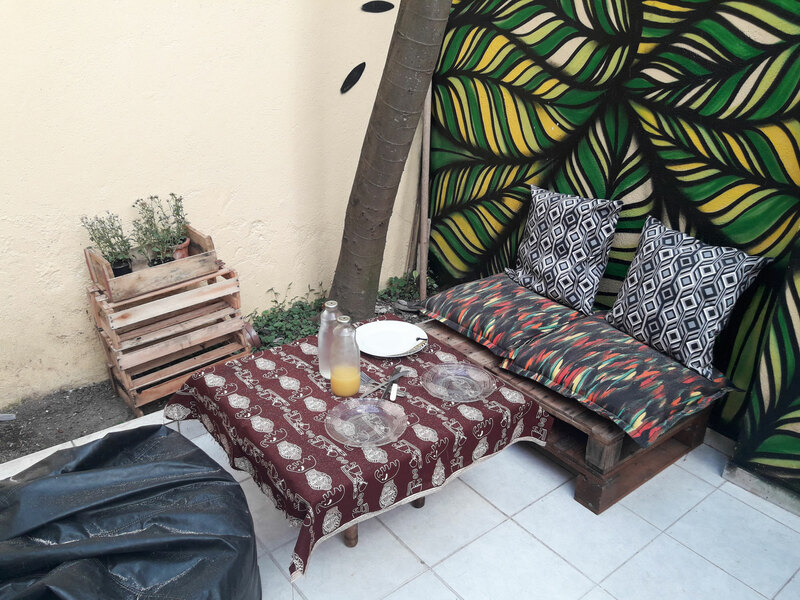 In your hands-on class you will shop, stir and assemble the dishes you will later eat with Sofie on the outside patio. The cooking portion of the experience will last for an hour. 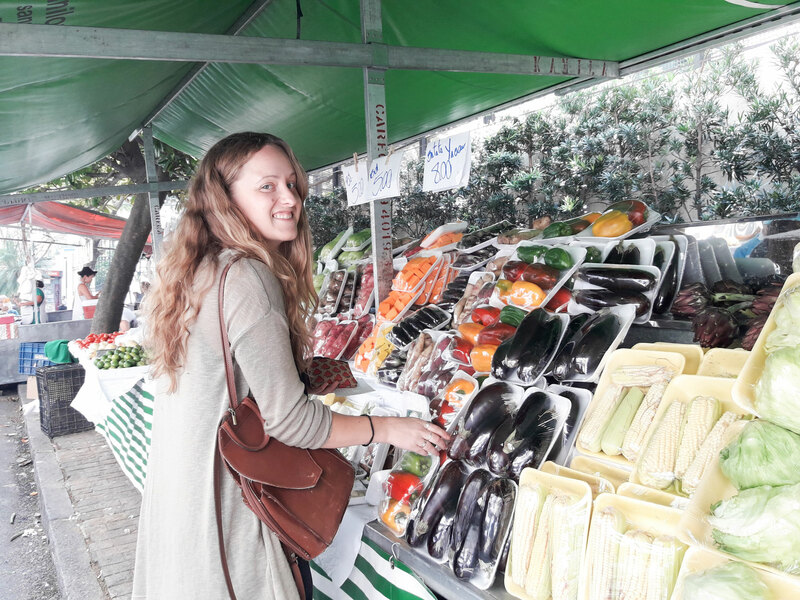 Market visit: (1-3 guests) You will walk for 10-15 minutes to the Feira livre market for your market tour. Sofie will show you and explain to you the ingredients used in Brazilian home cooking. 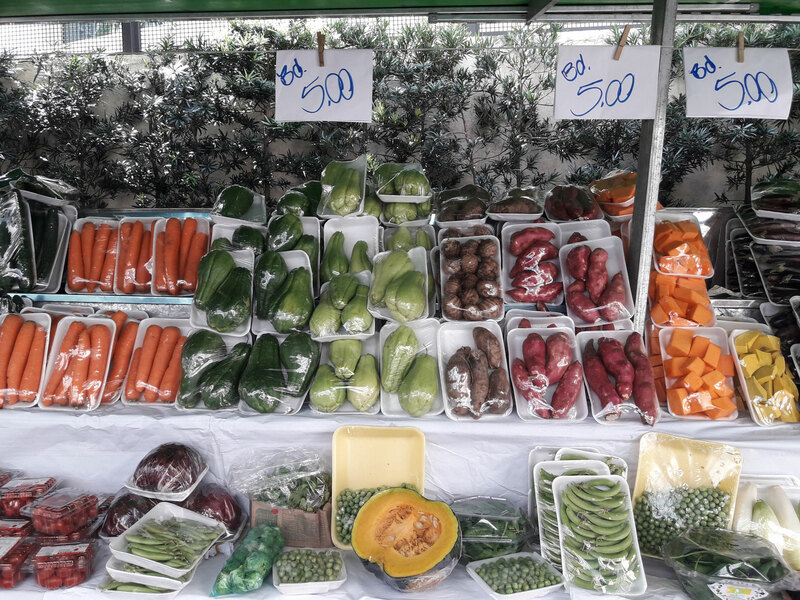 After you finish buying ingredients for your cooking class, you will walk through Avenida Paulista and soak in the beautiful sights before you get to Sofie’s home to cook and eat. Notes: All the dishes and recipes can also be prepared in a vegan and gluten-free version, so please do let us know your preference while creating the booking. Sofie’s roommates may also be part of the experience depending on their schedule. At first I was apprehensive about the visit given the all-vegetarian menu, but it turned out to be fun. 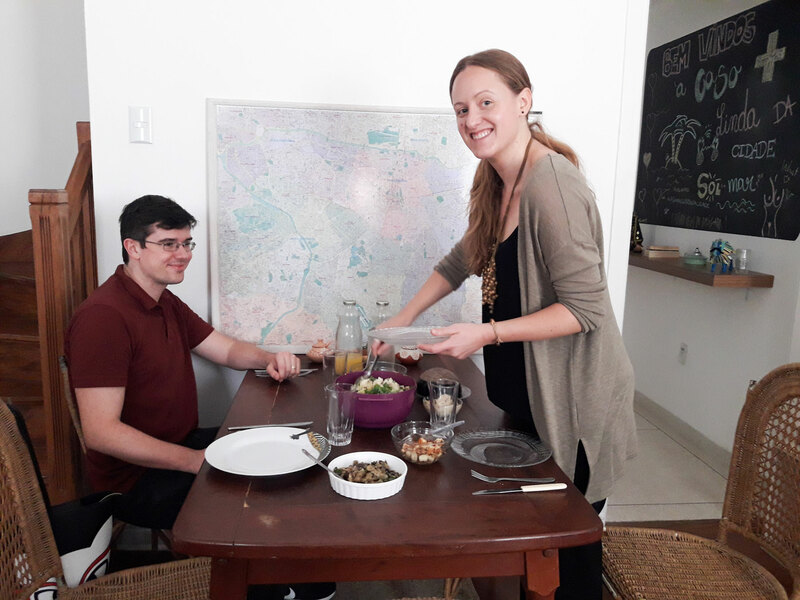 Sofie was an interesting and engaging host with an obvious passion for cooking and hosting people - the result was an enjoyable lunch experience. The street market we visited was quite small and slightly underwhelming, possibly because it was near to closing time, but at least gave a taste of the typical Brazilian market experience and had everything we needed to make lunch. 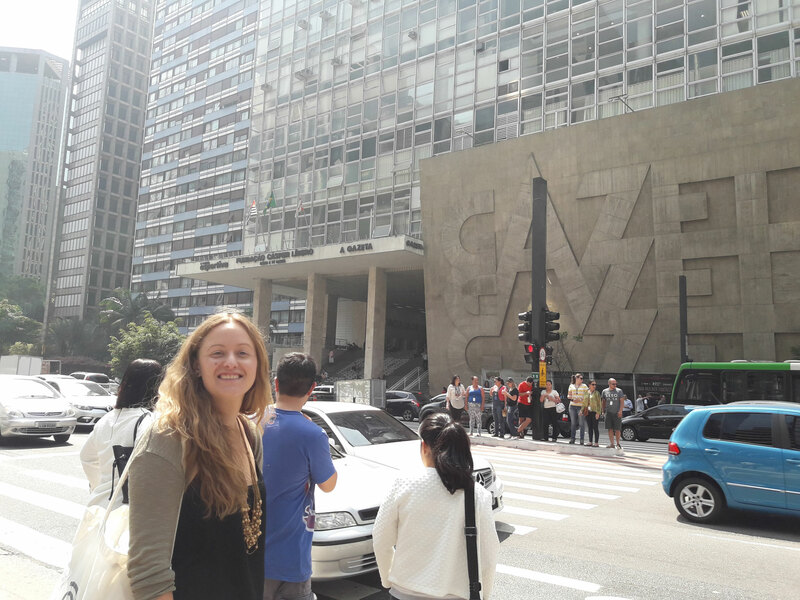 The trip back to the house passed through the Avenida Paulista, which is a must-see for any visitor coming to town. The cooking experience was good fun and I learnt a lot about the recipes we were making over snacks and drinks. The lunch was excellent, very simple but very tasty, even for a meat-lover such as myself! 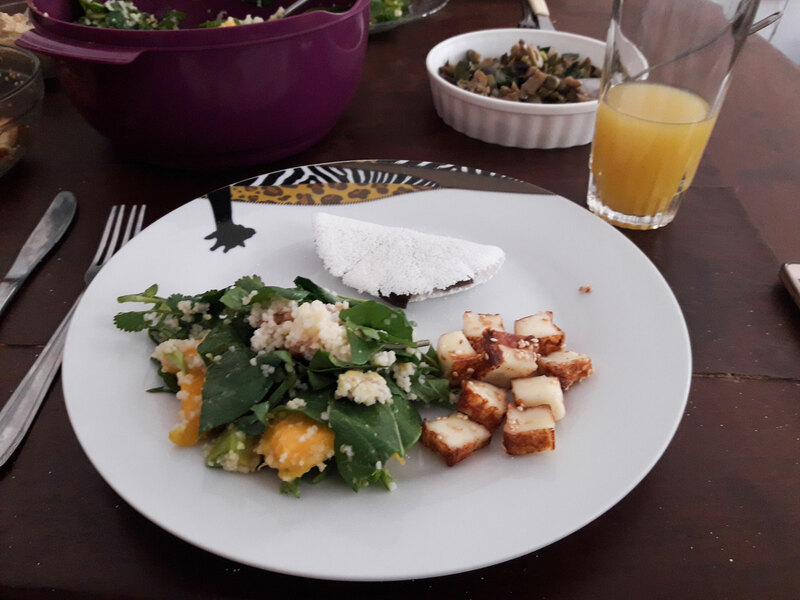 The salad was particularly delicious, and I learnt an essential mango-peeling tip from Sofie! 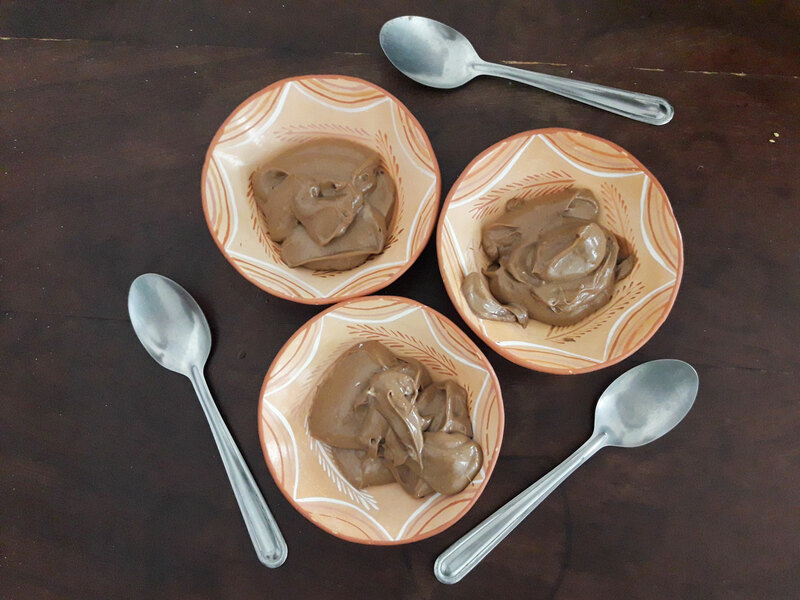 The avocado chocolate mousse was incredible too, and we will definitely be recreating it at home in the future.